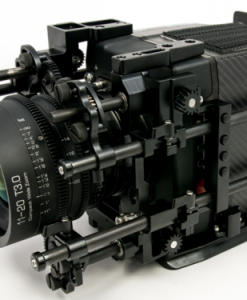 Underwater housing for Red Epic Dragon 6k, Red Weapon 8k, Arri Alexa Mini, PMW200, Sony A7sii and Canon 5D Cameras for rent at Film Eqwuipment Hire. 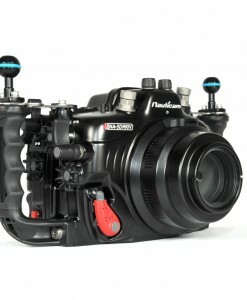 Many modern underwater housing are pressure resistant up to about 330 feet (100M). Typical construction is from moulded polycarbonate plastic, or aluminum for more professional systems. 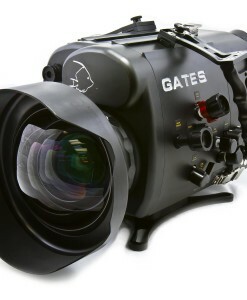 They usually have quick release snaps, an o-ring seal, and through housings fittings for several camera controls. 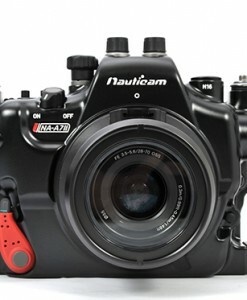 A few are generic in nature from several manufacturers (such as Ikelite), and may be adaptable to several camera sizes. 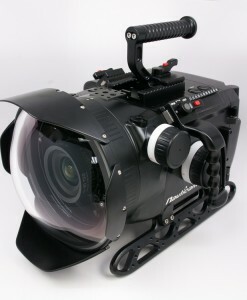 Most housings, however, are specific to the size and controls of a particular camera (such as Amphibico) type and may be marketed by the camera manufacturer or an after-market company. Housed video cameras now record in HD (1920X1080) with some cameras operating at 4K (3840 x 2160) resolutions. 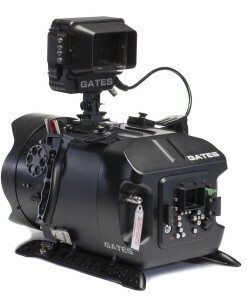 Recording media may be solid state Solid-state drives (SSD), SXS cards, professional flash media or SDHC/XC cards. 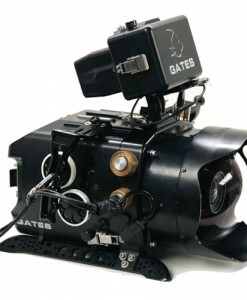 Codecs include H.264, XAVC and others. 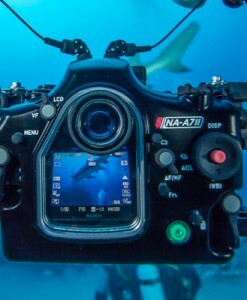 Small “stunt” cameras such as the GoPro style cameras have taken diving by storm and create incredible images for relatively little cost, provided that there is sufficient light. These cameras often record on SDXC/HC or MicroSD cards. These cards should have data record rates of at least 45MB/s (Ultra) or faster. 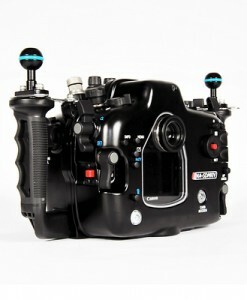 Occasionally housings might be advertised as “waterproof housings” rather than underwater housings. Waterproof housings are not intended for deep water use, but rather are splash protection housings for use around the pool, in rain, or to protect if dropped overboard. At the most they are for very shallow activities – usually not more than about 1 or 2 metres / 3 to 6 feet in depth. One manufacturer offers a plastic bag type housing with a watertight seal, and a glass port front. 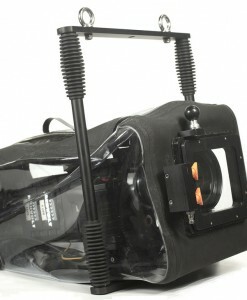 The flexible bag allows some modest camera control, but when taken deeper the air inside the bag compresses from the pressure and makes the controls nearly impossible to operate. These bags are usually limited to shallow snorkeling activities and damage to the bag may cause irreparable flooding damage.